Coca Cafe is a local brunch hot spot with a more modern, food-forward menu than the likes of traditional breakfast fare like Pamela’s or Dorstop. On a sunny weekend morning, we ventured to Lawrenceville to discover what all the buzz was about. If it wasn’t so humid a day, I’m sure we would have asked to sit in the small outdoor seating area, but on this occasion was opted to stay indoors. 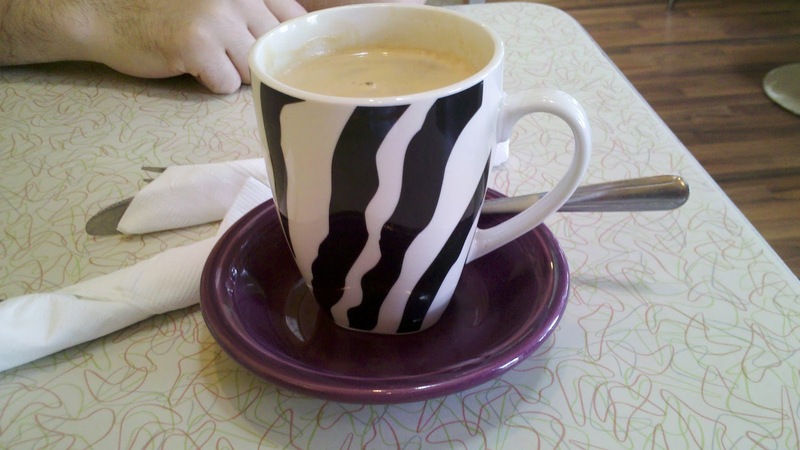 Upon entering and getting my coffee, it was clear that this was a very artistic cafe – my Espresso Americano even came in a zebra-print mug. The Sunday Brunch menu offers a mix of breakfast and lunch options. I treated my coffee as my breakfast and opted to go straight for lunch. My Turkey Rachel Panini came with a nice side salad. It was a very balanced plate with pleasant flavor highlights. The coleslaw in the panini was amazing. It made the sandwich a hit in my mind. 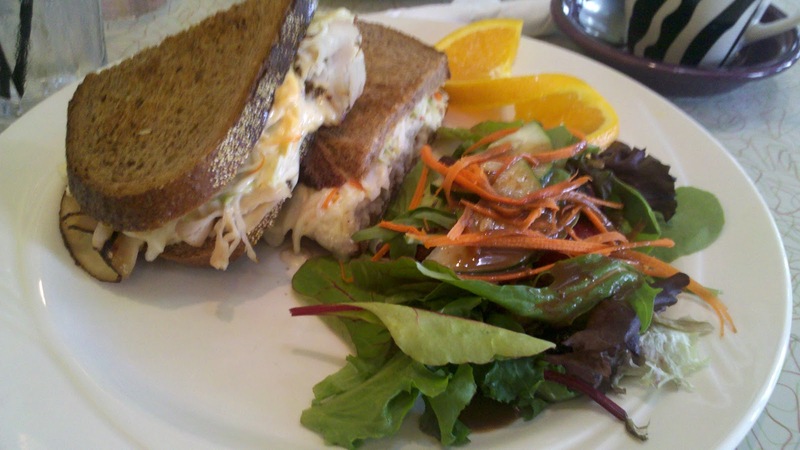 The turkey and cheese was warm which counterbalanced the cool, moist coleslaw. The brightness of the salad and the orange (yes, I eat my garnish) completed a nice meal. I left quite satisfied. Overall, I think my experience was much like my experience at North Star Cafe in Columbus, Ohio. The atmosphere was very pleasant and the menu hit the right spots for me. I will warn you that the prices will appear a little on the expensive side, but are well worth it in the ingredients and service.